Whether you are looking to replace your interior or exterior commercial lighting fixtures, NES Lighting Distributors has energy-saving solutions available for your application. 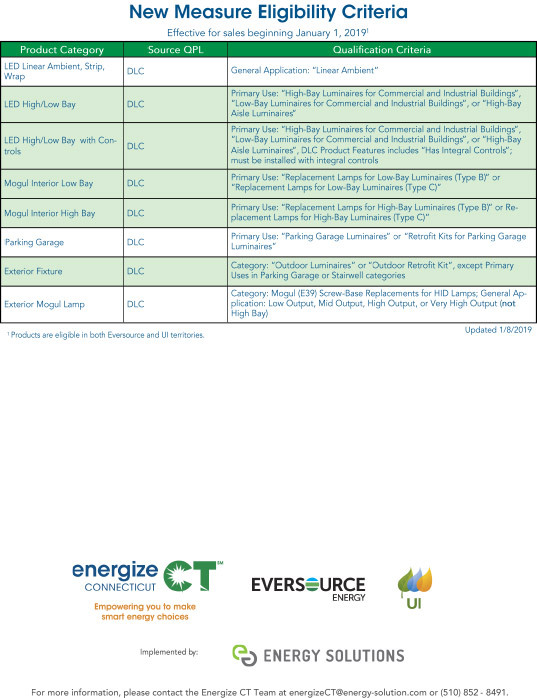 Upstream Incentives, available through the Connecticut Energy Efficiency Fund, help to offset the premium price of lighting, making energy-saving LED lighting fixtures and lamps a cost-effective choice in lighting supply. 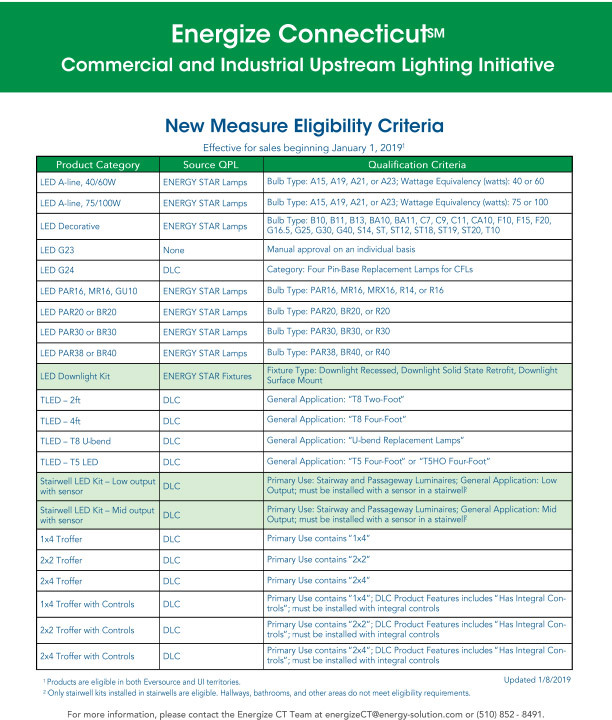 A minimum customer contribution is required for any lamp or fixture sold through the EnergizeCT Lighting Program. Minimum customer contribution is located on the incentive chart. All product must be installed within 30 days of receipt.